When you log into WordPress, the editor you use to change the content on the web page is a web editor. The actual name of the editor is Tiny MC. Tiny MC is also known as a WYSIWYG editor which means: What You See Is What You Get. This editor comes with many software packages like WordPress and Joomla. But for editing without a CMS you need a separate editor. For real experienced developers you can just use simple Notepad, that’s right, the same Notepad that comes with a Windows Computer. 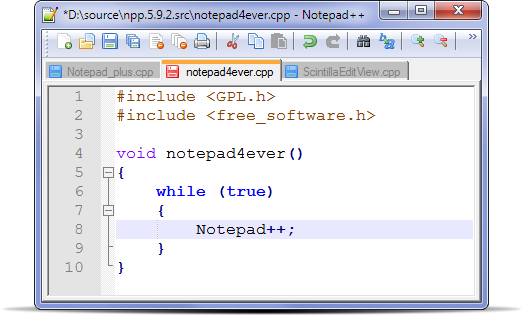 Of course Notepad does not come with many options, so a lot of developers like to use Notepad++. Notepad++ has great features, like syntax highlighting and auto completion. Also the text is color coded to help you decipher things through out the code. The best part about it is the program is totally free! Adobe Dreamweaver is my editor of choice. It has tons of features and helps you trouble shoot. Plus the ftp is built in so you do not need a separate program to upload your files. Dreamweaver is the industry standard for professionals. Another great feature in Dreamweaver is the testing, you can test and see how your site looks on a browser without ever leaving the program.